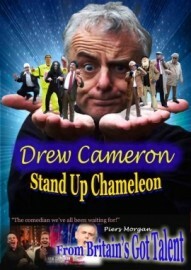 Drew Cameron is an award winning ‘stand-up chameleon’. 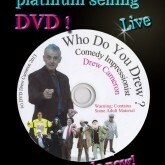 A Comedy Impressionist based in Brighton, performing at Weddings, Corporate & Private Parties Worldwide! 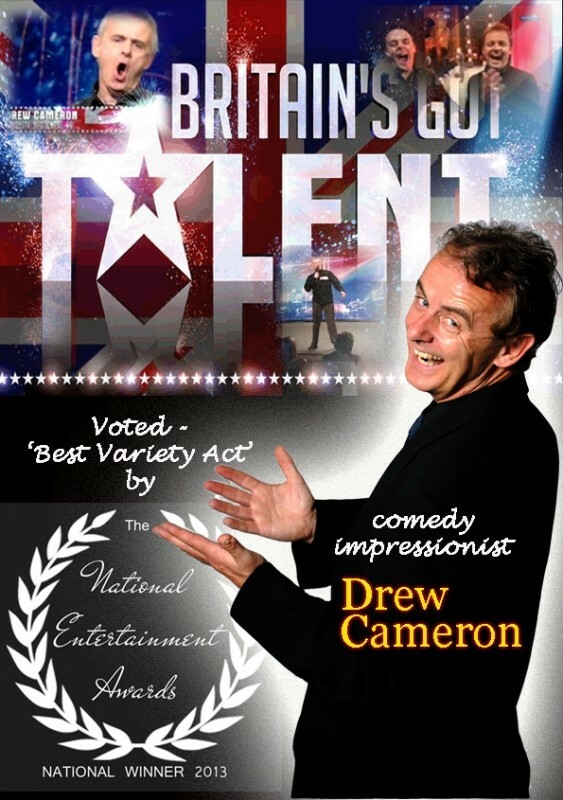 Voted Best Variety Act 2013 by the NEA, (National Entertainment Awards). Finalist on Britain's Got Talent. 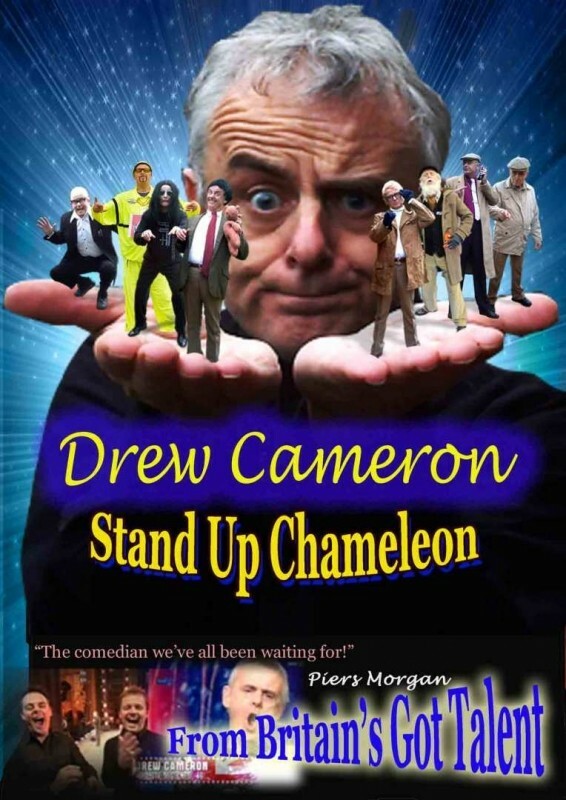 In 2014 Drew was Brian May's first choice to compere his rock concert!! Through 2014, Drew has been Joe Longthorne’s support act ... on his theatre tours, where he often receives a standing ovation! 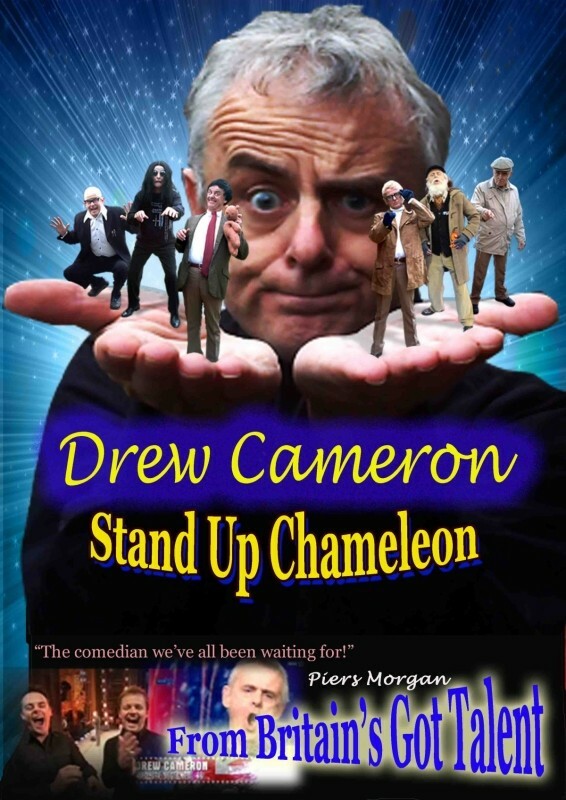 If your looking to book an original and versatile impressionist, Drew Cameron is suitable for all types of events, from corporate promotions, voice over work, comedy clubs and theme nights through to private events. 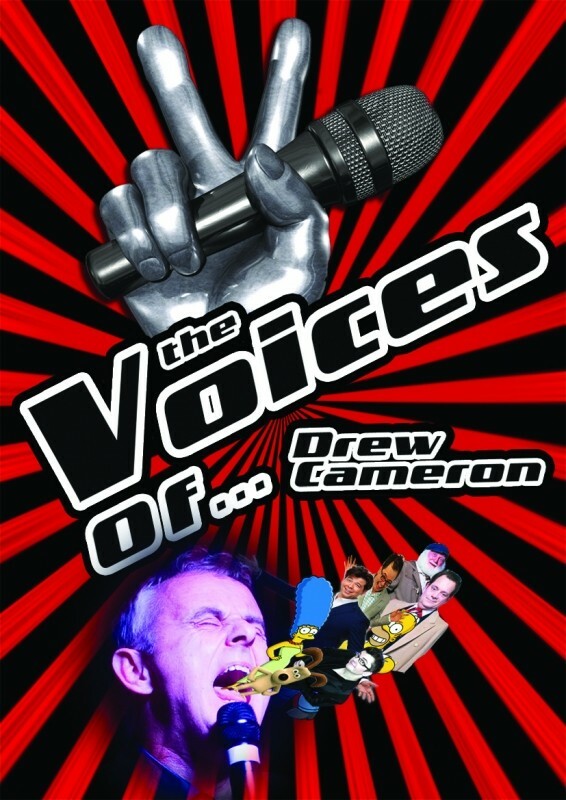 Drew also performs and produces a hilarious comedy dining show called Only Foods and Two Courses. As well as live comedy events, you may have also seen his impressions on TV shows such as Britain’s Got Talent, the Frank Skinner Show, or possibly Dead Ringers –and if that’s not enough to impress you… you might have seen him in the Cheerios advert! 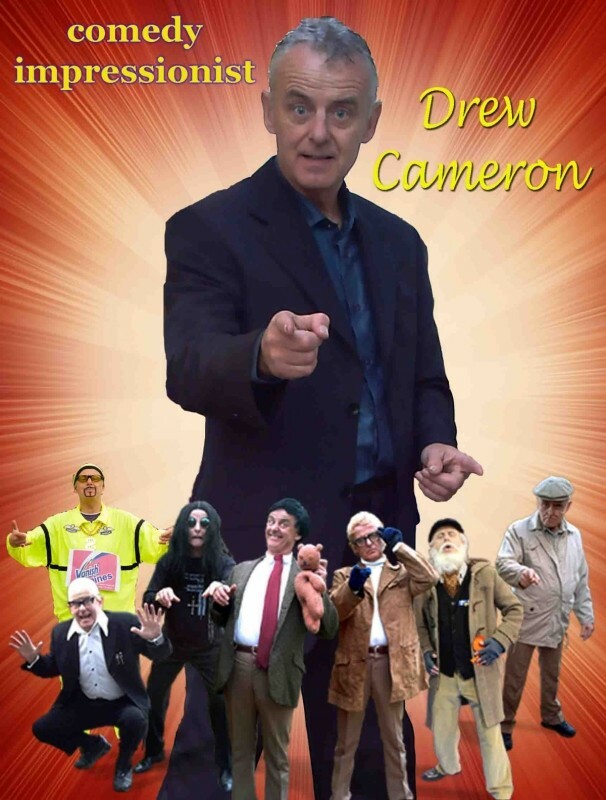 Drew is often asked to perform his Meet and Greet show where he performs hilarious and accurate look-alike impressions of Mr Bean, Uncle Al ... bert, Ozzy, Michael Caine, Del Boy, Victor Meldrew and Ali G.
A special thank you to the brilliant Drew Cameron who had everyone in stitches with his amazing impressions. thanku so much, you were so good so funny. He is the BEST!!! Top Class act!!! Brilliantly funny and a lovely man! 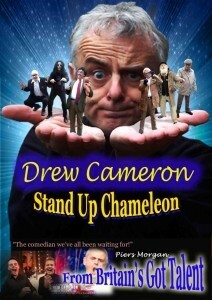 'Drew Cameron was fantastic! His mingling with the crowd in full costume for each character was brilliant. 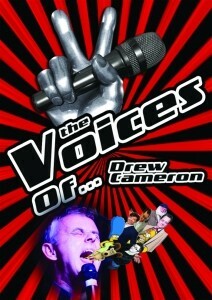 Drew finished his performance with stand up comedy that bought the house down. I recommend Drew Cameron for any social gathering he exceeded our expectations and our standards are high. 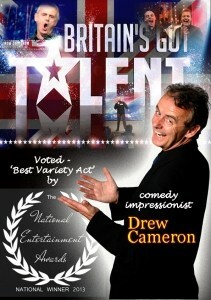 Great evening, great act, will book Drew and recommend him to anyone. Just spoke to my mum on the phone and one of her friends has watched eggheads from the first episode and he said it was the best one ever. He thought you were great Drew. 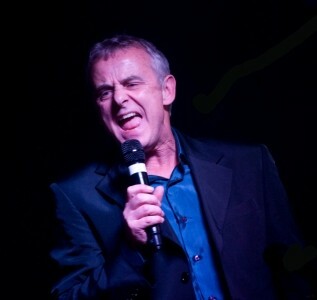 I just wanted to say how much I enjoyed your performance on Saturday 8th March when you supported Joe Longthorne at Cromer Pier. Your impressions were brilliant, some so good that if I had closed my eyes I would have thought the actually people were the theatre. 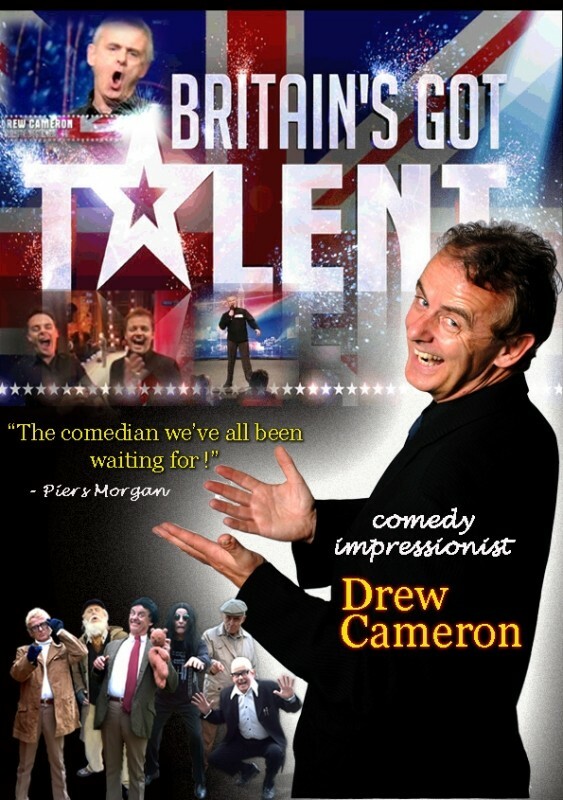 The Norfolk people are very reserved and difficult to please, but I found your act funny and original. 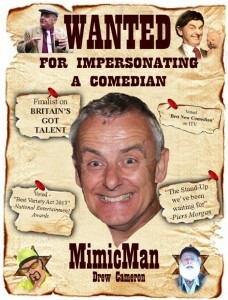 If ever I see you advertised in North Norfolk again I will be first in line to book my tickets. Well done and thank you for making my evening out so enjoyable. 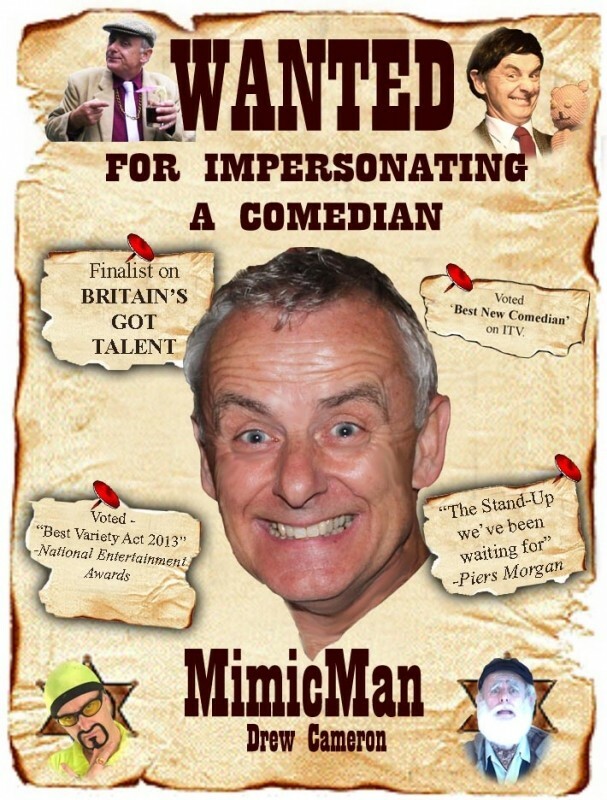 “Great confidence, script and impressions. You are the Stand Up we’ve been waiting for!” – Piers Morgan. (Britain’s Got Talent 2008). Item Description & Dispatch time e.g. 1 Day, 1-3 Days etc.